As security threats become more sophisticated, IT organizations must move from pure compliance to proactive defense and value-creation. DIPL Security Solutions professionals leverage decades of experience, deep industry knowledge. As security threats become more sophisticated, IT organizations must move from pure compliance to proactive defense and value-creation. 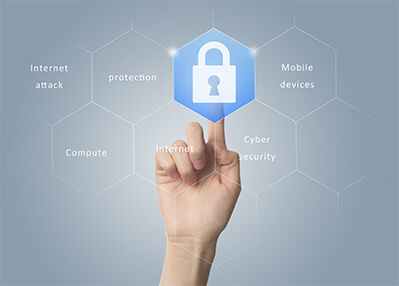 DIPL Security Solutions professionals leverage decades of experience, deep industry knowledge and business-process know-how to help protect against threats, minimize risks and enable the adoption of new technologies that promote growth. The digitization of business processes has generated considerable benefits for companies and government agencies—but has also created a new category of cyber risk. Today, most organizations—both public and private—have digitized much of their supply chains. This ongoing digitization continues to generate innovations in the way in which business is conducted. Building and maintaining around-the-clock security is both expensive and complex. Increased speed and effectiveness of fraud investigation. Security governance is increasingly complex owing to a plethora of security standards and frameworks. Organizations frequently lack the staff and skills to analyze and respond effectively to security incidents. It is difficult and time-consuming to obtain a holistic view of user behavior and cross-correlate it to security events. Employees are increasingly mobile and the workplace is no longer a specific location. Employees are using unapproved and untested devices and programs to access core business applications.